"Accessing the future together "
UHP Water Blast & Airless Paint Spray Coatings to accommodation, Fwd Bulkhead Port & Starboard, Funnel & various other areas. 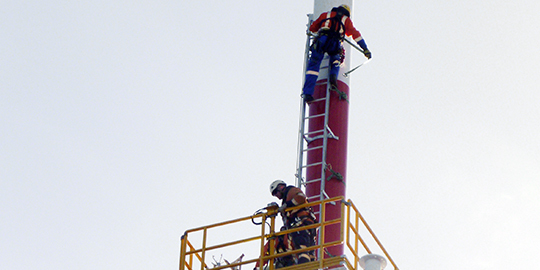 Arabac are Height Safety Specialists committed to delivering professional training and consultancy through practical solutions enabling Industry to manage their own safety and skills to work at height. Proactive approach of empowering your personnel, supervisors, managers through education to take control of their own safety in preventing harm to themselves or others. "If your employees have met today's challenges at work unharmed whilst working at height, then you as an employer have complied to the Health and Safety Act 1992". In delivering competency based training we aim to exceed the act. Aerial Abseil Access (NZ) Limited. Trading as Arabac. The amber and black overalls worn by Arabac's personnel say it all. 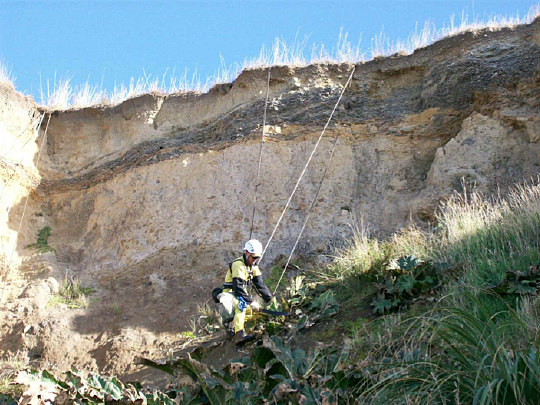 Arabac (Aerial Abseil Access (NZ) Limited) is proudly parochial and uses every opportunity to promote the resources and technical capabilities available in Taranaki. Although undertaking contracts nation wide & internationally, the industrial Abseiling Company operates predominantly in the region. "We have been operating in Taranaki for twenty two years and have built up a solid clientele network in that time," says owner David S. McLay. 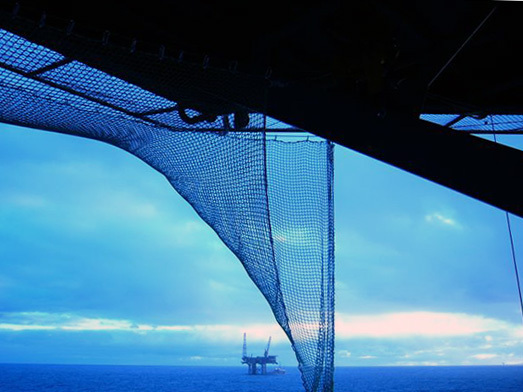 Key clients include: Shell Todd Oil Services, Transfield Worley, Fletchers, Origin Pacific, BW Offshore, OMV, Fonterra, and Vector to name a few. 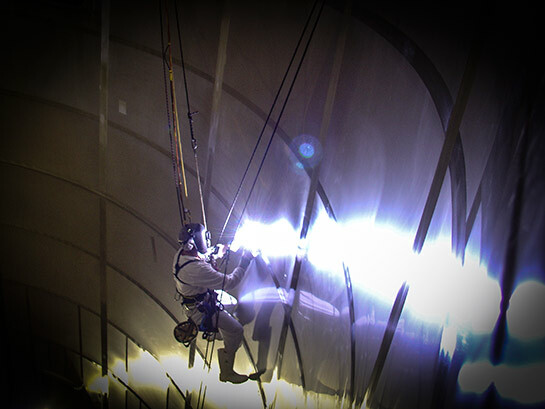 Arabac's advanced abseiling techniques are used in situations where other forms of access are impracticable. "Rope access is also an unobtrusive form of access with no negative impact on the environment," adds David. 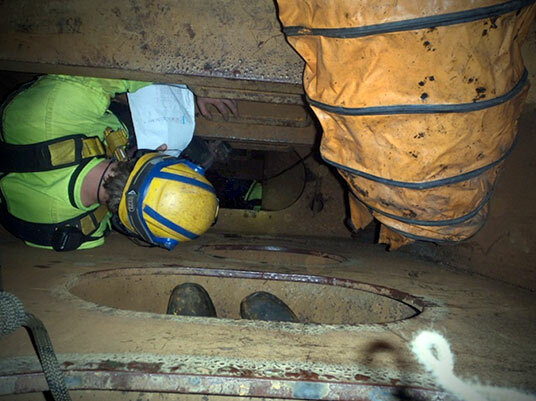 While the majority of their contracts involve industry blasting and painting, NDT inspections and fitter/welding, to name a few. Arabac also offers an array of other trade skills access, and utilises an alliance with other local specialists outside of Arabac's capabilities. 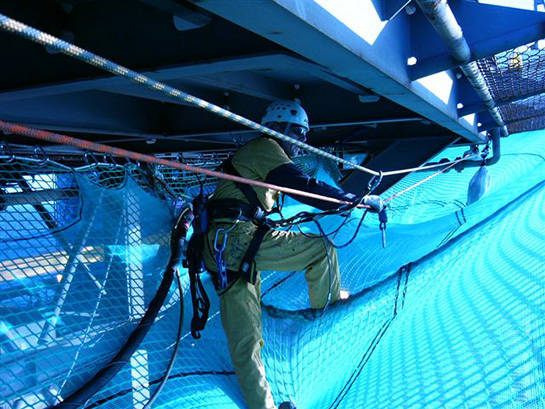 Arabac is a founding member of the Industrial Rope Access Association of New Zealand (IRAANZ) and carries OSH compliance. 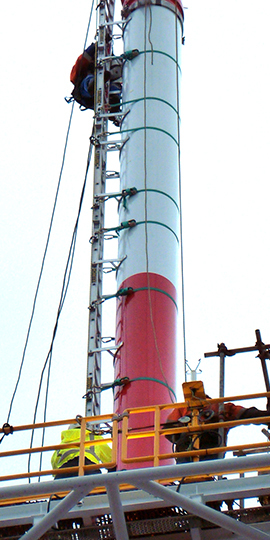 The award-winning company is also a leader in Height Safety Solutions committed to delivering professional training and consultancy through practical solutions enabling industry to manage their own safety and skills to work at height. Arabac has expanded rapidly since it's foray into the Australasian Market in 1995. 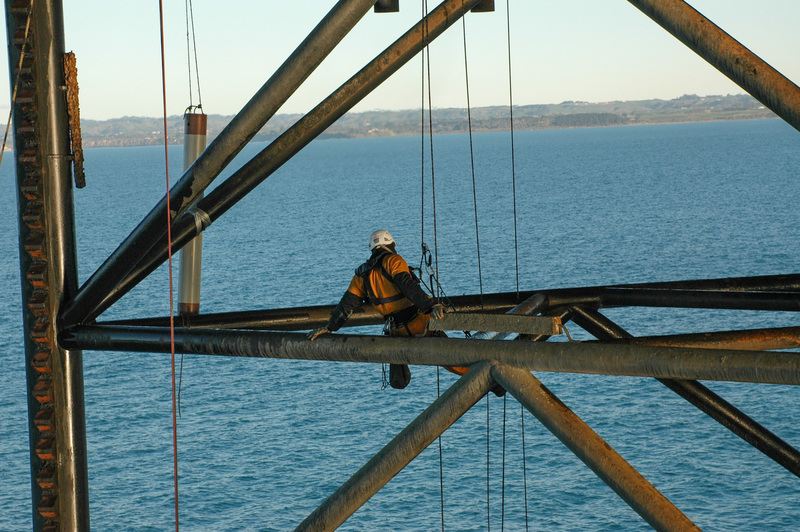 Through the company's proactive management and the vision of David S. McLay Founder and sole owner, it is now recognized as the leading supplier of Industrial Rope Access services to the New Zealand Market. 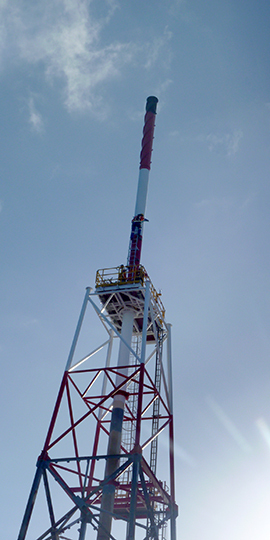 Arabac was the first Industrial Rope Access company to work on the then tallest structure in New Zealand. The 220 Meter Titahi Bay Radio Mast. 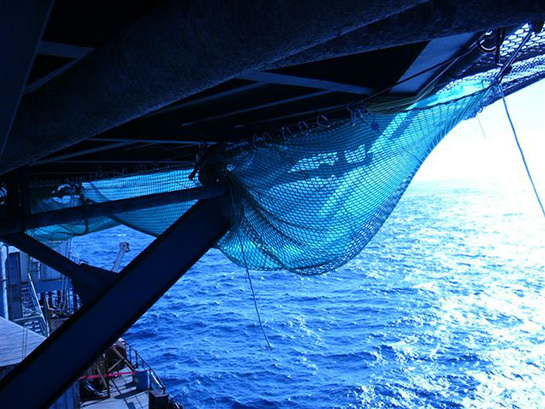 Skilled technicians, highly trained in advanced rope work, can make use of the integral structure of an installation for a direct route to problem areas. Advanced abseil techniques can be adopted to a wide variety of situations where access by any other means would be considered impractical, inconvenient or expensive. 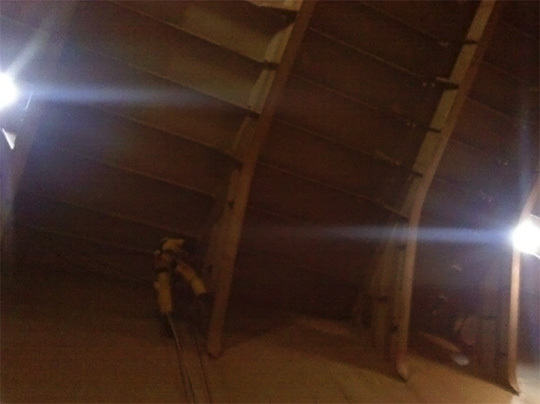 Why Is Rope Access Booming? 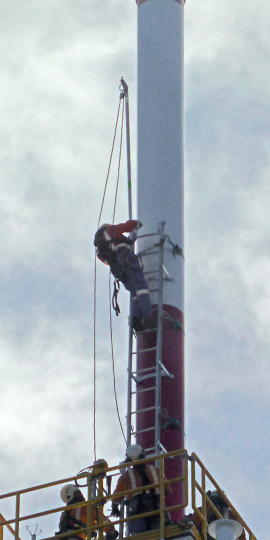 With the growth of large buildings, sophisticated architecture, industrial plants and offshore installations, industrial rope access has become an established and exceedingly effective means of reaching otherwise impossible places. 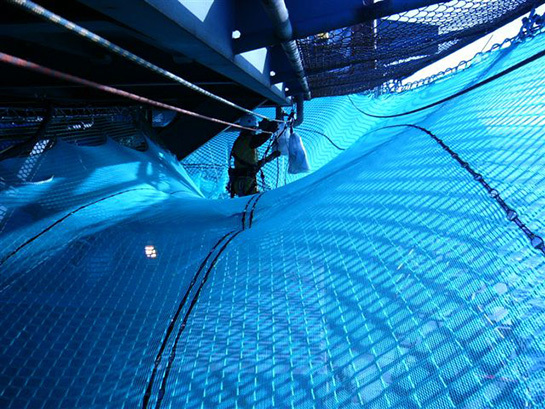 With specialist rope techniques, ARABAC personnel can go most places in, on or outside a building or structure, quickly and safely without disruption and the need for other types of cumbersome access systems. Because roped access is so versatile, our response time can be kept to a minimum. Site operations are less time consuming than conventional methods of access ensuring a minimum of risk to both personnel and property. All works are carried out to your most exacting standards. 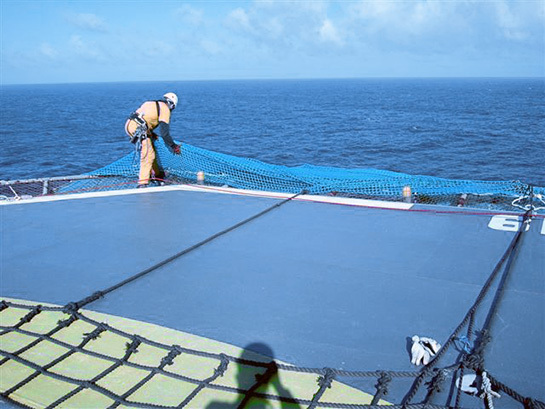 Our personnel are individually tailored to job specific tasks according to trade or multi-skill requirements. 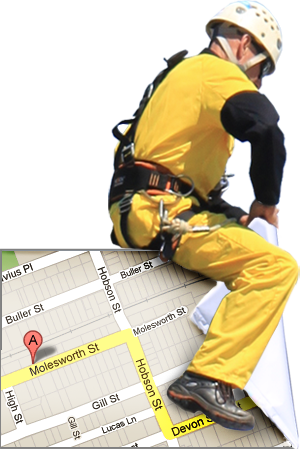 ARABAC are members of IRAANZ (Industrial Rope Access Association of New Zealand) carrying OSH compliance and approval. Recognised Health and Safety Standards and Approved Codes of Practice meeting legislative requirements. Arabac is one of the largest specialist access companies in New Zealand with an extensive nationwide and international client base. Arabac provide a service built on 27 years experience, coupled with an impeccable safety record, quality, cost effectiveness & innovation. 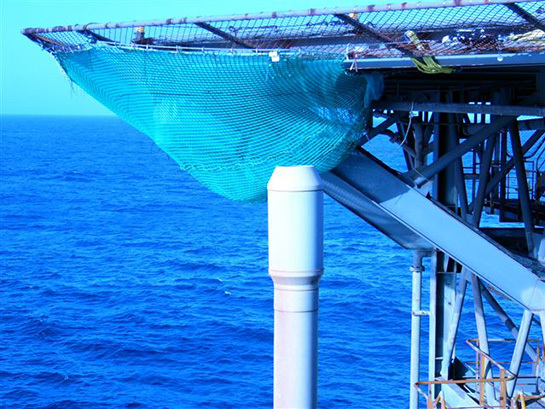 These things allow us to offer a wide range of services, including non-destructive testing and frontline inspection technology for all types of structures. Arabac maintains a broad base of specialist trade skills and we can confidently offer the services required to complete all aspects of each project from an in-house single service. The nature and associated costs of working in high, difficult to access locations requires that the majority of projects are completed using as few contractors as possible. By utilising Arabac's extensive range of engineering skills and access techniques, the number of contractors can be effectively reduced to a minimum, eliminating the need for third party access by offering a multi-discipline service & skill base. Postal address: PO Box 4137, New Plymouth. 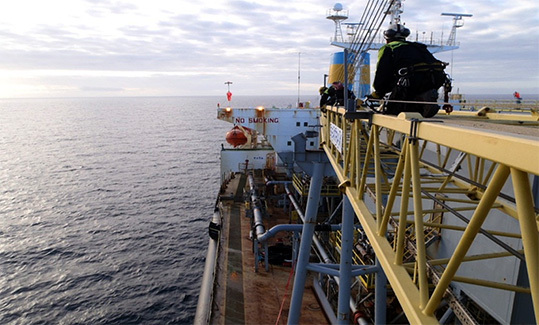 Arabac delivers specialised industrial rope access/abseiling asset based maintenence and inspection solutions, predominantly to the oil & gas industry onshore and offshore. Also associated energy sectors, dairy, and construction industries. 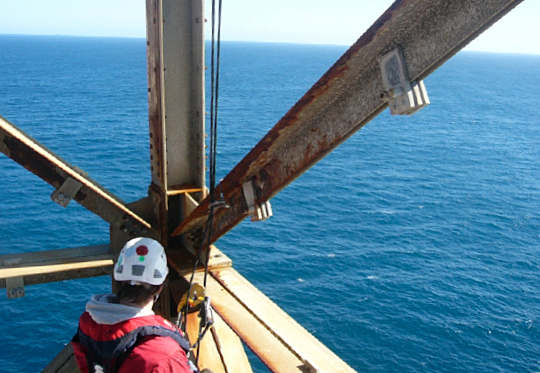 As well as providing access NDT inspection, Arabac also provides chemical cleaning, blast & paint, electrical and construction services using skilled tradesmen and full project management, onshore and offshore.